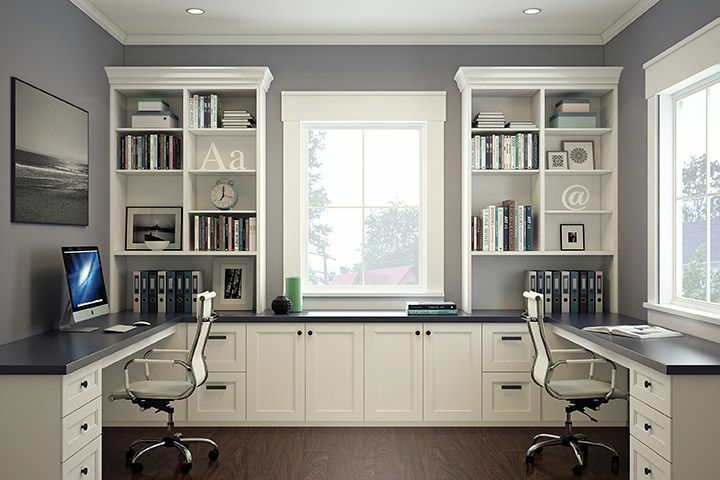 Location, Location, Location – You’ll likely spend many hours in your home office, so don’t stiff yourself on space. Also consider traffic flow and your ability to withstand distractions. Ask yourself do you work best in the thick of activity, or should your office be tucked away in a quiet space? If you will have clients stopping by a private space with ample seating is a must. Pick comfortable chairs – Remember to always look after yourself and your health as well as possible clients with the right chair to work out of. It’s one of those things you shouldn’t skimp on because the best-quality chair will make any office task that much easier. Chairs with a back are a lot better for us, so it is best to look at the function of the chair and all its features. Make sure you try the chair out, sit in it and make sure it feel comfortable. Decorate with the right style and color – Your work space should be a reflection of you. You want to create a space that is productive and enjoyable to use. Things like art that reflects your personal style. Picking the right color that gets your work motor humming is also very important. Take the time to research colors and how they can affect your mood. Make sure you have a view – Think about positioning the desk so you can stare at something more than the wall when you glance up from your computer. A window can provide lots of natural light, if you have to go with a windowless space, hang a piece of art above the desk or position the desk to face the door. Lights, lights, lights – Lighting is a critical part of any home office. Having the right amount is crucial to staying alert and active throughout your day. Not having enough can cause you to slow down and make you sleepy. Make sure you position your computer so it doesn’t have glare from a window or from overhead, position a small lamp that fits your style close by for task lighting. These are 5 great tips to help you plan your new home office or school study area. With a little planning and help from Decker cabinets I know we can work together to build a great space for you and your family. So come see us and lets start this project together.